Guests: trainer Bob Baffert, trainer Simon Callaghan, and jockey Gary Stevens. Operator: Good day ladies and gentlemen. 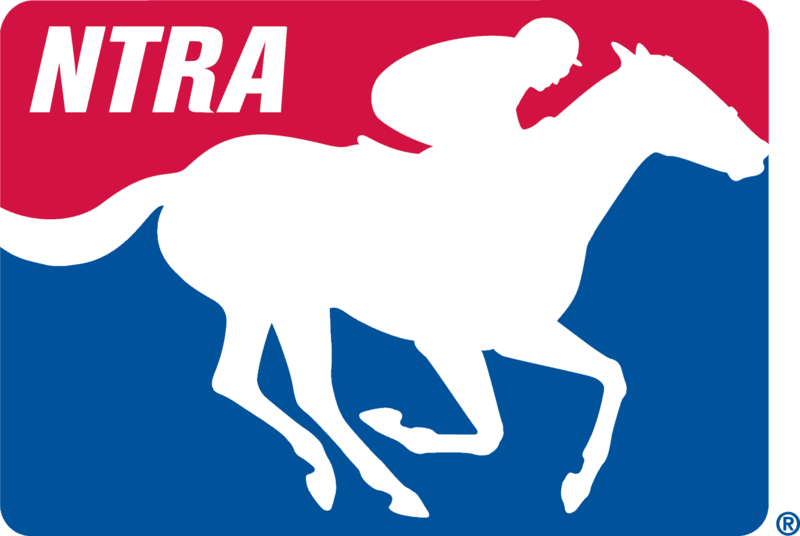 Welcome to the NTRA Road to the Triple Crown 2015 conference call. At this time, all participants are in a listen-only mode. Following the presentation, we will conduct a question and answer session. At that time, participants are asked to press star, one to register for a question. As a reminder, this conference is being recorded. It is now my pleasure to introduce your host, Mr. Jim Mulvihill. Please go ahead, Mr. Mulvihill. Jim Mulvihill: Thank you, Nick, and welcome everyone to this Road to the Triple Crown teleconference. It’s our annual Preakness Preview. The 140th running of the Triple Crown’s middle jewel is only nine days away on Saturday, May 16 at Pimlico Race Course. Now later in this call, we’ll talk to the trainer and jockey of Kentucky Derby runner-up Firing Line, Simon Callaghan and Gary Stevens, but first we’re delighted to welcome hall of famer and now four-time Kentucky Derby winning trainer, Bob Baffert. Last Saturday, of course, the Baffert-trained American Pharoah faced his toughest test yet in the Derby, but pulled away from Firing Line late to win by a length. Now, American Pharoah moves on to Baltimore as a relatively fresh horse, at least compared with others who have been in this position, and will try to become Baffert’s sixth Preakness winner. It’s worth noting, of course, that all three of Bob’s previous Derby winners also won the Preakness and advanced to the Belmont with a shot at the Triple Crown, which has remained unclaimed since 1978. Baffert is also expected to saddle the Derby pacesetter and third place finisher, Dortmund, who was undefeated prior to that effort. Now, four-time Derby winning trainer, Bob Baffert, you’re on with Jim Mulvihill in Lexington. Thanks for being here. Jim Mulvihill: There you are. Hey Bob, thanks for joining us. Congratulations on your Derby win. Now only Ben Jones has more Derby victories than you. To start, can you just tell us what was going through your mind when American Pharoah finally put Firing Line away there and you knew you had the race won? Bob Baffert: Well, it was—all week long, it was I knew it going in. I had the horses that could possibly do it, and watching the races down the back side, they broke well, they were in great position. Down the back side, I really thought Dortmund, the way he was moving, I thought boy, he—you know, we didn’t know how good he was, and I really thought at that time, well, I know we looked at him, he looks like he could win, the way he was moving. I knew Firing Line was going to be right there, because he looked fantastic coming up to the paddock. American Pharoah, he was in a good spot on the outside, but it looked like Dortmund and Firing Line were doing it much easier than he was. So—and then when they came to about the 3/8ths pole, they started moving, and then I really thought, well, this is what a trainer hopes for, that his horses are running their race. They showed up, and I knew from then on it was going to be a horse race. In terms of the quarter pole, it looked like—you know, I heard the announcer say Pharaoh was under a ride (phon), and it was like, wow, he’s really—usually we’re used to him pulling up there and going on. But he was in—I could tell, he was really in for a—he was struggling a little bit, and so when Dortmund, he was there and he was like, Firing Line looked like—Gary Stevens looked like he was still full of horse for a little bit, and then when he straightened out and he was real wide around there, and then Victor started urging him, like he’s never—that horse has never been—having to been urged because he’s—and I knew there was a problem. Pharaoh’s funny about the crowd noise, because he’s very—he has sensitive ears and that’s why I run him with—I put earplugs in there. He was a little concerned about him coming up—the walk up there, he got really upset because people were running around him, and there was just too many people on the walk and it set him off a little bit. So he used up his energy a little bit before the race, so I was a little bit concerned about that. But when they turned for home, I thought wow, this is unbelievable. I’m right there, and I know I’m going to run first, second or third, you know? He was edging up, but he just could not put Firing Line away. It was like—you know, waiting for him, that Firing Line just was digging in and it was like for an instant there, I thought well maybe he’s not going to do it, and then at the end I just—he was just urging him away, but he looked like he was running easy but he was just—I think he was just between the crowd or whatever, I don’t know, he wasn’t really—he was running. Those are three good horses that ran, so when he hit the wire, I just felt so relieved. It was something, it was a feeling of gratefulness. It was a totally different Derby vibe than I’ve ever had before. Before, I won the Derby, I was jumping and down for joy, and to me, I just felt like you know what? God is with me. He got me here with these two good horses, and it’s like we did it. I had my boys there, and little Bode was just—you know, it was such an emotional win. Everybody was crying. It was totally different. I was so thankful and grateful that I got to experience this and do it again, because I didn’t know if I’d ever—you know, I haven’t been up there, and I’ve brought some good horses there and I’ve gotten beat. They didn’t run or they just had racing luck or whatever. I thought, you know what? If I don’t win it this year, I don’t think I can ever—you know, it comes to the point where is it worth the pressure. All week long, I was having a good week with him and I knew they were ready, but I was still—you know, you’re never safe, and if a horse scratches, it can happen to anybody, you know? You’re just like pins and needles at your—and we’d had a really great week with him, so it was just a lot of added pressure. Once I put the saddle on him and I heard the Old Kentucky Home song, it’s like—that’s our two-minute warning, you know, we’re almost there. Then I started to relax. I was pretty relaxed, and I believe in fate. If it’s going to happen, it’s going to happen, so it happened and I was just—it took about two days for it to kick in, to realize that I won the Kentucky Derby. I was pretty wiped out. I got sick a couple days out. I was just—I know one thing. Those stents that that doctor put in in Dubai, they must be really strong. They got tested pretty well, (inaudible). Jim Mulvihill: Very good. Well, you got it done and American Pharaoh got it done, but I’d like to talk a little bit more about him being tested in that last quarter mile, how hard Victor had to ride him. The big question going into the race was what would happen when he had to be tested? Now he got this hard race, and from your perspective, is that a positive or a negative going into Baltimore, that he had to run so hard in the Derby? Bob Baffert: I think it’s a—I really think it’s a positive, because he showed that—you know, he got in a fight with Firing Line, and he came out on top. We just didn’t know, because he does everything so effortlessly. I’ve never brought a horse in like him, where I shipped, he shipped. He came up as a layoff, and he’s had that injury during the—after the—the week before the Breeders’ Cup. But you know, he healed up well—I wasn’t worried about that, but then he runs, he ships to Arkansas, he wins that, he ships back, then I ship him back to the Derby, he wins that with ease, then he flies again to (inaudible)—and he still looked great. I mean, this horse has got a—there’s something really special about him, and you can’t do that with very many horses. You have to be a cut above. So he just—he worked, he handled the track, he went over it really well, and he just takes his track with him. It was just a very—like, I kept thinking, man, I don’t know—and Dortmund, what he’s done here, he’s undefeated so I knew I had this loaded gun with these two great bullets. So it was like, I was just thinking, man, I need to win this because if I don’t win this race, I’m just never going to—I mean, why put myself through all this aggravation? It was just really—I’m telling you, I’ve never felt so much pressure in my life leading up to the last few days. That draw, that was just waiting, not to get the one hole, and it was just—the draw was just killing me. Then there was a scratch, it’s going to be in the 17 hole, I don’t want to be in the 17 hole, there’s never been a winner. There’s another scratch and he ends up in the 16. Sixteen is where I wanted to be. Everybody is asking, where do you want to be? I want to be in the 16, and I remember Jill says, well, you got your hole. I remember Bode was watching, I was getting ready for the Derby and Bode was watching television, and he came in and he says, Daddy, Daddy—there’s been a scratch in the Derby. I said—and they just said, you’re going to be in the 16. You got your hole, your post position. He says, wow, that’s good. So everything—you know, the stars were lining up. The stars were lining up, it was just a matter of getting it done and—it was a relief, and like I said, I had my boys there with me. They’d never been to a Derby, and unfortunately my daughter couldn’t make it because of her school. I just wish my parents were alive to see that, because they loved—and then the Bode thing, cheering, just shows you he feels what we feel. He wanted it really bad. It was just raw emotion. It was just—it was the greatest day of my racing career. Jim Mulvihill: Oh my gosh, well Bob, I’m curious why you feel this pressure. You’ve mentioned a few times now, in the post-race press conference and on here, about maybe not getting another chance. But a guy like Wayne is still taking horses to the Derby at 79. Why are you feeling this way? I think most people would look at you and say, Bob is going to be at the Derby more years than not over the next 20 years. Bob Baffert: Well you know, ever since I had my little heart attack scare, I started realizing, you know what? The body, I’m not invincible, and it’s like you better enjoy what you have. That’s why I really—I enjoyed this more than anything. It was a different—it wasn’t about me, it was about the Zayats, having to endure what they’ve endured running second, looking like they were going to win the Derby and they got their heart just jerked out of them. Kaleem Shaw, he was—you know, he’s been wanting to get there, that’s why they’re all in the business. The Derby is our Masters—it’s the greatest, it’s the top of the mountain. So it was something that I really—you know, I never know how long, when I could just wake up and, you know, not wake up—whatever. But it was like when you get older, you just start thinking, you know what? Let’s take—you know, I might never—let’s take full advantage of this and enjoy it. I really soaked it up. I walked over there. When I walked across the track, I made sure—I stayed back to make sure that everybody got in the winner’s picture, because a lot of time in the excitement, people—security doesn’t let them in, so I’m glad I stayed back because my son Taylor, they weren’t going to let him in; Justin Zayat, they weren’t going to let him in. I was directing traffic that whole time, because I know—when I won with Silver Charm, my sister and my brother-in-law, they didn’t get in because they stopped them there and I didn’t know. So I made sure the right people got in and matter of fact, all of a sudden—and the horse. I was just so happy for the Zayats, made sure they got in there, and there was so many people. So I wanted them to enjoy it and to see it was for them. It wasn’t for Bob Baffert, it was for my family and my wife. It wasn’t about me. My crew was there, and I wanted to make sure—like Jimmy, my assistant, Danner and Georgie would get—I mean, it was a team effort, the groom. It was about them. You know, they work hard and we—I’ve sacrificed a lot in my life to be in this spot, so that was the payday. Pat Forde: Hi Bob. I was just wondering if there’d been some discussion of Victor’s ride down the stretch. Some people may be saying he whipped American Pharoah too much. What’s your thoughts on his ride? Bob Baffert: Well really, I didn’t really—to me, I never noticed it during the race, and then it was brought—I read something yesterday. I went back and looked at it. The horse—first of all, the whips they use now, they’re so light and they’re not really—they really don’t—and he was just keeping him busy, because I think (inaudible) was the horse was not responding when he turned for home. It looked like he was not, I think, ahead a lot, he was just keeping him busy, keeping focused because he knows that—I remember he said in Arkansas when he turned for home, he sort of threw his head up like he could feel him hitting the brakes, and he just had to tap him on the shoulder to keep him going. But this was like, like trying to stand, you know? So he just was keeping him busy, and he was flogging him and hitting him, but he hits him on the saddle towe; He doesn’t really hit that hard, so he was just keeping him busy. Art Wilson: Hey Bob. I wanted to talk to you a little bit about the Triple Crown series itself. Everybody knows how tough it is to win the Derby. You’ve got the three races in a short five-week span. The varying distances, if you’re lucky enough to win the Derby, then you’re going to have a lot of new shooters in the Preakness and the Belmont. I think arguably you could say that winning the Triple Crown is maybe the toughest feat to accomplish in sports. Would you agree with that? Bob Baffert: Well, I think it’s getting harder and harder now. I think the times have changed. The fields are larger. They run against more horses. I was reading there were Affirmed ran against 20 horses a hole, whatever, but—and we ran against, you know, a pretty full field. But I really—I just enjoy it now. To me, it’s like if it’s meant to be, it’s meant to be. I’ve been there three times and came up short, but it was—it’s an experience that to me, I don’t even think about it right now. My concern right now is the Preakness, get there and have them run the races, and if they were to win or Dortmund wins or American Pharaoh wins, then he deserves to go on to the third leg. So it’s something that I’m not even thinking about it right now, I just want to enjoy this win and go to the Preakness, and really enjoy it. I’m going to be—there’s less pressure now. It’s more of a—you know, if it happens, I know it’s good for racing. There’s nothing like watching Triple Chrome. I love—California Chrome, it was so exciting. I was so nervous for California Chrome in the Belmont last year, because I know I’ve been there. Those people in New York, they keep buying their tickets and going, hoping it will happen. We’ve seen so many horses—you know, Big Brown, I’ll Have Another, and something comes up, it’s just—. I know what can go wrong, and so you just have to enjoy it and take one race at a time. Danny Brewer: Whenever you’re planning for the Preakness, do you call on some of your past successes for strategy, or do you just keep it a little simpler and maybe think WWBD—what would Bode do? Bob Baffert: You know, when we go there, it’s a two-week turnaround. To me, it’s the easiest of the three legs. To me, I think the Derby is the hardest, so once you get through there, you know your horses. If they run well, they’re in top form. You have to be in top form to win the Kentucky Derby, so once they’re in top form, it’s just a matter of just getting them there and—you know, you still have to draw well, whatever. There’s a lot of luck involved, but if you—if your horses are coming off a big effort in the Derby and they’ve run well, and they’re pretty—my horses, they’re tough. They can handle a lot. So I feel good about them. I’ll watch them—I’ll be there Sunday and I’ll watch them train Monday, Tuesday going up there. So, so far, they went back to the track today, they jogged, and Jimmy was telling me they were really—they were just full of themselves, so they were really happy. I was going to jog them the other day, but we’re going to go ahead and (inaudible). They’re keyed up, so I want to—you know, it’s a matter of—it’s a class test. If they’re that good, they’ll get it done. Danny Brewer: You’ve mentioned your family several times. Is that one of the greatest things about this whole experience, is just the bonding that it is for you and your family, with the Zayats and all that are involved with your whole team? Bob Baffert: Yes, I mean, I’ve actually been with Bode (inaudible), we went through that, but this was a little bit different. It was with my clients. I’m pretty close with my clients, like Kaleem Shah and his family. His dad was a trainer in India, and he won the Indian Derby three times. He didn’t want his son—he didn’t want Kaleem to be a horse trainer, he wanted him to learn and to study. He didn’t want him to go through—you know, Kaleem has seen what I go through as a trainer, the pressures and everything. I actually tell him, this is why your dad didn’t want you to do this, it’s tough. I really don’t want Bode or my kids to do this, because it’s pretty—it’s nerve-wracking. So it will wear on you a little bit, but if it wasn’t these good horses and the great clients, they keep me motivated. But it was having my boys there with me, and for them to enjoy it. They’re older now and they really enjoyed it, and little Bode, he really—he feels it like we do. He’s been around it, he knows when things aren’t right or whatever, we’re having problems or the horse is this—he’s wired like his mother, so he’s very—a lot of passion. He showed just nothing but raw passion in the video of him jumping up and down. He wanted to be by himself. He didn’t want to watch it with me, he wanted to be by himself, because he was nervous. He was pretty worked up about it, so it was just—. Afterward, he told me—coming back after the Derby, he says, thank you for fulfilling my Derby dream. He’s a 10-year-old telling me this, so it was for those boys. Tim Wilkin: Hey Bob. You talked about at the barn on Sunday, about running both horses in the Preakness, because that’s what you do for your owners. Does part of you at all wish that Dortmund wasn’t running in this race because of Pharoah’s chance to keep moving in the Crown? Bob Baffert: No, I was down there with—I went there with Hungry and Point Given, and I think he deserves another chance. He ran well. He ran his race, and so it’s a little bit shorter, maybe he might like that. You can’t really—you know, in my barn, everybody gets an equal fair shot, so Kaleem just told me, look, if you think he’s going to run well, run him. If you don’t think so—he left it up to me, so it’s actually my call. So far, I haven’t seen anything that would make me feel like—you know, as long as I know I feel comfortable, when I lead one up there, I want to make sure that I’m not going to embarrass him and he’s going to run his race. As long as he looks great on Monday-Tuesday, I don’t see why not give him another chance, because he’s a very good horse. Tim Wilkin: Which one’s better? Bob Baffert: Well, I mean, everybody said that Pharoah was the favorite and he was the best, and on that day he was the best horse. But you know, I thought (inaudible) couldn’t lose and he ran it—he didn’t fire, he ran a dud. So you never know. These horses, they’ll fool you. I’ve run horses where I thought I couldn’t lose, and they didn’t bring it that day. So—but if they show up, they’re both—they’re going to be tough. Bill Finley: Hi Bob. I’d like to pick up on that same question that Tim just asked you. I know these are hypotheticals, but you’ve had three cracks at the Triple Crown, you’ve lost them in agonizing ways. There’s some sort of scenarios here where Dortmund could beat American Pharaoh by a nose in the final leg of the Triple Crown, or maybe Dortmund wins on Saturday and then American Pharoah comes back and wins the Belmont Stakes. In any way, shape or form, if you beat yourself out of the Triple Crown, I know you have to look after Kaleem Shah interests, but would that leave sort of a queasy feeling in your stomach? Bob Baffert: Well I really—I play one race. I’m not even thinking Belmont right now, Bill. I’m just thinking Preakness. They have to run well there and they have to come out of it well for even me to even to go Belmont. So the Belmont, the mile and a half is not really—it’s not a race that if you’re—it’s tough on them, so I think we’ll know more after the race what it entails. But Pharaoh, if you’re going to be a Triple Crown winner, you have to be—you know, the great horses win it and good horses win it, so he’s got to—he’s going to have to beat his stable mate, he’s got to beat Firing Line, and probably some other horses in there. You know, I’m not taking anything for granted. I want to go in there. My job is to try to win all three races and to win every race I’m entered in, so I’m just looking at it, if he wins, it’s great for racing and for you guys, and for all of us, but just one race at a time. My job is to get him there, and you guys figure out—write your stories and do your picks, whatever. I just focus. All I’m focusing right now is getting him to the Preakness, getting him there healthy, and have him run a—racing luck has a lot to do with it, so having two horses like that, it betters my odds of winning the race, and that’s what we’re trying to do. Bill Finley: I know they asked us to only ask one question, but this will be very brief. The horse in the Peter Pan Saturday, if he runs well, will you appoint him for the Belmont? Bob Baffert: You know, there’s always possibilities. He’s a nice horse that’s getting better. I think he’ll like this one, so that could be a possibility also. Andrew Beyer: Bob, how much will you instruct your jockeys about tactics before the Preakness? I mean, will you tell them not to get in a dual with each other early, or if Firing Line should get loose, would you tell them who is supposed to go out and chase them? What do you say to them? Bob Baffert: You know, I really don’t say very—I don’t think too much about it, because I have Martin—he knows his horse really well. He knows—they’re going to put him in a spot where they feel comfortable, and so I think the break Andy—the whole key is how they break. If they break well, and they broke well in the Derby, let your horses run. If they don’t break well, then it changes the whole scenario. So they’re on their own, really. There is not one watching out for the other. They want to win. They are competitive jockeys and they want the Crown, so they basically—my job is to have them—if they fire, they’re going to run well. If they’re not doing well, then it doesn’t matter what instructions. The whole key—it’s like we watch the Derby, you see these horses, they don’t run their races and they get beat a long way, they didn’t fire and things didn’t go their way. So I don’t really worry about that. For the Derby, they were all on their own, so. Andrew Beyer: Okay, thanks very much. Debbie Arrington: You mentioned that you didn’t want your boys to go into the business. Are any of your boys interested in working with horses, and what are they doing these days? Debbie Arrington: I know which one you mean, yes. Bob Baffert: I’ve got brain freeze here. So he—and Forest, he is going to graduate from San Diego State, and Canyon, he graduated from the UofA. My daughter, Savannah, who couldn’t be there because she had some special finals and stuff, she goes to school at San Luis Obispo. Bob Baffert: So it’s like—and Bode, Jill says there’s no way. He wants to be a meteorologist or a storm chaser. He’s very into weather, and being that Jill was a newsperson, I think he’ll probably pick that up. Debbie Arrington: Mm-hmm. So Forest and Savannah, what are they studying? Bob Baffert: Savannah is studying—I don’t know, she’s doing some kind of business. She’s studying business, and Forest, —they’re just getting through whatever their—there’s no doctors or lawyers in there. Yes—oh by the way, Fletcher Jones, that’s where he’s working. Fletcher Jones. Debbie Arrington: Oh, Fletcher Jones—yes, yes. Bob Baffert: Fletcher Jones. (Inaudible). So he wants to—he likes sales, so he likes that. So it’s their—but you know, they’ve never been in—my kids have never really been into horses for some—they never really got the bug, for some reason. I think only certain people—I wanted to teach them how to ride, and Bode, he’s into the racing part pretty much so, as you can tell by his reaction to the race. He’s just really—he was preparing himself for a loss, just in case. But you know, all week he’s telling me, who do you think, Dad? How are we looking? Every day, he’s just telling me—we’ve been talking about it for the last two months. I’ll pick him up at school and he’ll start talking about the Derby, and 30 days out we were talking about the Derby, and then when I saw Black Cat the other day, I stopped, (inaudible) about Black Cat, I kind of like Black Cat. So he’s learning what I did; I learned from my father, you know, at 10 years old. That’s when I started hanging out with him. So Bode, he feels the vibe off of me, he knows, and I just tell him, right before when we went out there, what do you think, Dad? I said, I think we’re ready to go, we just need some luck. And he knows about luck. He’s been there for all the disappointment. Tom Pedulla: Hey Bob. I wanted to ask you, with Firing Line, is one of the concerns there that Gary Stevens would be aboard again? Bob Baffert: No. I have—Gary is a great, great rider. Just goes to show you, it’s always the—the greats (inaudible). They bring it, and he’s a very smart rider. I knew—I told my riders, look, Gary Stevens—I know Gary really well, and so I had a feeling the race was going to set up like that. He was so focused—I was watching him all week. That horse was training well, and Gary’s out there in (inaudible) helping him train, so Gary’s on a mission too, like I am. As we get older, we’re not going to get too many chances, so hopefully—look, if (Lukas) he’s 80 years old or 79, he’s still bringing it, but it’s tougher as we go along. He brings a lot of experience into this race, and I bring a lot of experience into this race, and Victor, he brings a lot of experience into the race. Martin, he’s already won—he won the Preakness on Lookin At Lucky. So experience-wise, we’re fine with that, but the horses, they have to be—if the horses are sharp and they have the energy and the power underneath them, they know what they need to do. Bob Ehalt: Hi Bob. Congratulations on this latest Derby win. I just wanted to ask, it’s been a couple of days now removed from it. How much satisfaction do you take in winning the Derby for Mr. Zayat, given how close they had come before, and especially too the way that the family seems to have embraced racing. Bob Baffert: Well, it was really—you know, I’ve gotten pretty tight with the family these last few years, and went through it with Bodemeister. He has a lot of—he has a lot of confidence in me. I’m just—I kept telling him, thank you for raising that horse and sending him to me. He’s got other trainers he could have easily sent him to, and it just makes you feel—I was just so proud of the fact that Pioneerofthe Nile, I really thought he was a winner turning for home. I just felt this feeling of I’m going to do it, and then here comes Mine That Bird and just rips the heart out of you. Then with Bodemeister, turning for home, he looks like he’s going to win it, and then here comes I’ll Have Another and just rips the heart right out of you. So he’s had—I’m telling you what, to endure that, what we go through, it’s just incredible, and he’s still in there and he’s got such a passion. I mean, these clients that I have, you have to have a lot of passion because you’re going to lose more than you win, and you’re going to be taken to the—really, these good horses and these losses, it really brings out the true character in a man. It really—and he’s been so—he’s taken these horrible losses and he knows, he understands. He’s always telling me, you know what? You did a great job, it’s too bad, and you have to learn to take the beatings. There’s a lot of beatings, and believe me, you can be fine and that upper cut is waiting. It’s around the corner and it’s going to knock you flat on your back again. So I’ve been there so many times, and that’s why I just—I’ve never appreciated a race more than this week. It was really—and to me, I’m still very—I’m sad that my parents weren’t still alive to watch that and watch Bode and my boys. They would have loved that. My mother, she just loved—when I had all my boys, all the grandchildren around me watching. Erin Vespe: Yes, hi Bob. You mentioned in the Derby that you really wanted Post 16, and you got it for American Pharoah. Do you have similar preferences going into the Preakness for both of your horses, and sort of related to that, knowing the field’s not set yet, are there some horses or probables that you want to be inside or outside of going into the race? Bob Baffert: You know what? I really don’t—I really don’t talk—my little superstitions, my jinxes, I never talk about the post before the race, because to me it’s taboo. Everybody knows around me, don’t ask—whatever you do, do not ask Bob about the post. We know certain posts. So you’ll know by my reaction if I like it or not, but I was so relieved. I was really having a lot of anxiety at the draw. There was 10 horses already drawn and they hadn’t drawn any of my horses, and I was, like, really getting a lot of anxiety. That’s actually the last part of the pressure before the race. Gary Mihoces: Bob, do you like the idea of having the one-two-three finishers in the Derby come back for another go at it? Bob Baffert: Yes, I think it`s exciting. I think it’s good for the sport, and the horses, their owners, Arnold and Ellen Zetcher, I trained for them. I was in the Derby and I had ran a horse for them in the Derby and the Preakness. They’re really nice people, and he has—he really appreciates it. I mean, he is a great guy and I’ve had a lot of success with him, and they’re happy and that’s why he’s in the business. He really loves it, and if I would have gotten beat by him, I would have been happy for him because they’re great people, and I feel thankful. He’s had a few trainers, and Simon Callaghan, he did a fantastic job of getting that horse to that race, and that horse, he ran. He ran the race of his life. So they’re very proud, and I talked to Simon afterwards and I said, hey, that feeling you had when you turned for home and you saw your horse there, you were probably—you’ve never felt that, have you? He says, no, it was just a total—I’m telling you, it’s a total feeling. I was in shock. Watching the race, I’m just watching, I was like still. I was like—I was like prepared to get beat—I was waiting for my heart to get jerked out again, and then when it happened, that’s why I was just—it took me two days and finally it sunk in that I won the Kentucky Derby, and it was just—it’s an incredible feeling and it’s just different than any other race I’ve ever been involved in. Richard Rosenblatt: I’m just wondering—you were talking about the passion that Mr. Zayat has for racing, and how do you guys have a conversation or how do you tell him, or what does he say regarding maybe Dortmund coming in here and spoiling any kind of chance at a triple? What kind of conversations do you guys have? Bob Baffert: You know what? He really doesn’t—we never discussed Dortmund. He never discusses another horse that I have in a race. He knows—because he’s been in this position before where he might not have the best horse and I’ll have another horse in there, and so it’s something that’s not even brought up in the conversation. He’s never asked me how Dortmund is doing. He knows that if I enter him and lead him, (inaudible) that horse is going to be tough. So it’s like I’m—the horse is ready. So we’re all the same. We know, hey, if he’s that good, he’s going to have to—there’s other horses in that race. So right now, he’s probably more worried about Firing Line because he was close, he’s been the closest to him. So that’s—but we still need to get there, but it’s going to (inaudible) enjoy it so much more now. It’s going to be coming off the high of the Derby, and the Preakness, it’s a lot of fun for them that go. They really—they welcome you there, and they make it easier for you. It’s just an easier—it’s a fun race. It’s really fun, and we’re all in the stakes barn so everybody is enjoying everybody, telling stories and whatever. John Pricci: Good job, Bob, on the Derby. I’ve got a question about the Preakness. I’d like to talk the pace scenario, and I’d like to talk a little bit about Dortmund. Now, once he won as a two-year-old at Churchill Downs, he came from off the pace, so this is kind of a two-part question. Is there a chance that maybe Dortmund is a better horse with a target than being the target, because when he gains the lead, he seems to fall out of there on the lead? You certainly don’t quarter horse him. So I was thinking in terms of the pace scenario, would you like to see him in an attending position as opposed to setting the pace? Bob Baffert: Well John, you know, the thing about the Derby, we talked about it, is that the break is so—it’s the key to the whole race, and the worst place to be is caught—when you have a lot of horses that sort of have the same style, the high cruising speed, which you had the first three finishers. You have Carpe Diem, you had Materiality. Materiality not breaking was like—you know, he could have added to the mix. There’s so much luck involved. So my riders know when you break, you better get into position because if you get caught up in the—and I really thought it was going to be a really fast pace. You just never know, and I think the Preakness will be pretty fast too. But we were—my riders, they were prepared for really fast, slow, whatever. That’s why it’s very important that—and these horses, when they run their race, if they’re not right, they’re not going to run their race, so there’s no—there’s just no way. When they leave there, and that Dortmund, he broke like a shot, and he’s fast. He’s a quick horse, and he was off the pace going a mile, because a mile they’re going much faster up front; it’s a different kind of race. But he was—you know, he was in a beautiful spot. When they turned down the back side, I really thought that he was going to win the race. When he won the San Felipe, I thought—to me, I thought he was going to be a Triple Crown kind of horse, the kind of horse that you’d win the Triple Crown with. But the Derby, this field, John, this is the toughest field I’ve ever run in, in a Derby. There were some really good horses in there. I mean, there’s really—that Frosted, that Danzig Moon, there was Carpe Diem, there was—all of Todd’s horses. There was some really—and International Star, unfortunately he comes up to the sore. He was a really good horse. So it’s just—that’s why everybody is on pins and needles, trying to get there. That’s why it’s such a great feeling, because we beat a really strong cast of three-year-olds. This year has been really strong. This will be your toughest year to win a Triple Crown because they’re all good horses. John Pricci: Well if I can, just one follow-up on the Preakness pace scenario. Todd seems to be—according to the latest reports, he seems to be on the fence that he may be considering three horses in the Preakness. You brought up Materiality, who many people think was the trip horse of the Derby in terms of trouble and what he accomplished after not getting the lead, which is his preferred style. If he is in the Preakness field, and assuming a clean break for all, I’ll go back to my original question—Dortmund, could be actually better with a target as opposed to being the target? Bob Baffert: Well, they just place him where they’re comfortable. Dortmund’s a very fast horse. He goes 22 and change in a high gallop. He’s a big, long stride horse, and he’s not the kind of horse that I want to be taking him back or whatever. So that’s actually, you’d have to ask that question to Martin Garcia, because he’s going to ride him the way he feels he can best win the race. Larry Stumes: Hi Bob. This is kind of a similar question. Do you think if American Pharoah had drawn the post position, if he and Dortmund had reversed their post positions, that the race might have been different, that it might have been American Pharaoh on the lead and Dortmund sitting back a little bit? Bob Baffert: You know what? That’s something that—I don’t know. They’re both fast horses. I think Pharoah, he could have easily made the lead, but he’s learning how to run, he’s learning how to shift. That’s what makes him even more dangerous, that he can put him anywhere he wants now, and that’s a big key when you’re—Dortmund, he’s a big horse. Once he gets rolling, he’s got that big long stride, and we just let him. They fall away from there and they just get him in a very relaxed, controlled run, because you don’t want to—if you fight him too much, then you take energy out of him. So these jockeys, they know their horses really well, and it’s a—it’s just like Gary Stevens, he knows his horse really well, and that’s why he ran such a great race. But you need racing luck, you know? I know I’ve gone in with the best horses and they get beat. I’ve been really fortunate, Preakness, I’ve been able to win it a few times, but at least I was coming in there with the right kind of horse. So—and they came out of there, and I took them up there because they were ready. I remember Point Given—if you would have asked me four days after the race, I wasn’t going to run him in the Preakness. He was just tired and he was just—you know, it took a week for him to sort of pop back out of it. Lookin at Lucky, I told the owner, I don’t think I’m going to run back to the Preakness, and then by Monday I said, you know what? He’s back and he’s full of himself. He’s ready to roll. So I think a lot of—I think it’s a little bit too early. Geoffrey Riddle: Could you just outline what Dortmund and American Pharoah had in their ears for the Kentucky Derby, and are they going to have something similar for the Preakness? Bob Baffert: Oh yes. American Pharoah, he wears earplugs. He’s very sensitive to sound, and Dortmund, he wears—we pull them out—he also has them often, but we pulled them out. We just get him through just the saddling part of it. Geoffrey Riddle: And they will have them for the Preakness as well, yes? Jim Mulvihill: Bob, you’ve been very generous for your time. Before we say goodbye, could you very quickly just take us through the next few days and let us know, are these horses going to breeze, and when will they show up in Baltimore? Bob Baffert: Well, I’m going to—they jogged today, and everything went really well, and they’re going to—they’ll go back, they’ll just go to track and gallop. I’m going to get there Sunday and we’ll—I really doubt if I’m going to breeze them. I don’t think they need any breezing. They’re pretty much ready to roll, and so I’m just going to keep them strong, healthy and happy, and they seem like they—they sent me videos of them yesterday and they look like they’re—you know, Pharoah, he looks great. His color is good. Dortmund, he looks good, so they’re—it’s a good position to be in. We’re used to it, so we know what to expect when we get there and everything, so nothing’s new. I think we’re just going to enjoy it and just take it in, and hopefully we get lucky again and win another Preakness. Jim Mulvihill: Very good. Well Bob, thank you for all this time today. You’ve been very generous. Thanks for all your time with the media leading up to the Derby, and we’ll all look forward to seeing you in Baltimore. Bob Baffert: Thank you very much. Jim Mulvihill: All right. Now, in the interests of time, I’ll skip the introduction for our next two guests, but we will post their bios, along with the transcript, on NTRA.com tomorrow for anybody that needs that background information. But now, I’m going to welcome in our next guest, Simon Callaghan. He’s the trainer of the Derby runner-up, Firing Line. Simon, you’re on with Jim Mulvihill at NTRA headquarters here in Lexington. Thanks for joining us. Simon Callaghan: Sure, no problem at all. Jim Mulvihill: Well, it’s very difficult for any of us to imagine what the Kentucky Derby must have been like for you. Your horse ran such a huge race. Can you just tell us what you felt afterwards, and maybe now having had a few days to watch the replay and think about it, just your reaction to the Derby? Simon Callaghan: Sure. I mean, straight after the race, we were naturally a little bit disappointed. But when you kind of reflect on the race, he ran an incredibly good race, really tried all the way, and we’re certainly very proud of him, everyone involved with the horse, right now, Arnold and Ellen, the owners, and everyone at the barn. You can’t really have asked much more. I think Gary gave him a really good ride, and he ran a fantastic race, so I think we can be nothing but very proud of him. Jim Mulvihill: Yes, and I was thinking that if Gary doesn’t press Dortmund, then Dortmund gets an uncontested lead, so who knows what happens from there. So he was in kind of a tough spot. Can you just talk a little bit more about how you guys planned going into the race, and how it played out versus what you had talked about? Simon Callaghan: Yes, like you said, he kind of had Dortmund in their sites, so we definitely didn’t want to let him have an easy lead. But I think the way the race unfolded, I don’t think Gary, even looking back in reflection, would have done anything differently. I think we had a good trip and he nuked up, I think, at the right time, and obviously we beat Dortmund this time, our nemesis, I guess. Obviously Pharoah came out and beat us at the end. It was certainly a very good run and an exciting race. Jim Mulvihill: Well you probably heard a few minutes ago, Bob Baffert didn’t really want to talk about the draw, but it’s very interesting to think about how the Derby might have played out differently if the top three horses had been in different spots. How do you think it could be different in Baltimore if, say, you were to happen to draw outside of the Baffert pair? Simon Callaghan: Yes, obviously the draw plays a massive part, and like you said, if we were drawn differently and if Pharoah and Dortmund were (inaudible), of course that’s going to change the way the race was run, and we would have probably been in slightly different positions. So I guess we’ll just see how the draw at the Preakness works out. If we’re outside, that gives you a little bit more options, I guess, but likewise it’s—you know, we’ll just leave it to Gary. He’s got a lot of experience and we 100% trust his instincts during the race. Jim Mulvihill: Excellent. Well, thank you, Simon. Hold on for just a minute, and we’re going to check with the media and see what they have. I’d just like to remind everybody that as we’re running long today, if you could, just try and limit your follow-up questions unless you really, really need to ask it. With that, Nick, can you see what we’ve got from the media? Ron Flatter: Simon, as you look at Dortmund’s performances over a mile, do you think the Preakness sets up for him being the shorter race in his favor, or is it a little past his prime, is his prime ahead of him? What do you think in terms of his optimum distance? Simon Callaghan: With Dortmund or my horse? Ron Flatter: I’m sorry—Firing Line. I apologize. Simon Callaghan: Okay. Yes, I think a little bit back in distance is going to work best, at least for Firing Line. He’s got a very good cruising speed during his races, and I think that should lend itself to a slight cutback in distance. I think this could be an absolutely perfect distance for him. Danny Brewer: The Sunland Derby, he ran so big in that race. Did something tell you then, hey, this guy is loaded for bear, he’s for real, or did you know that already beforehand? Simon Callaghan: You know, we really felt we knew that. I think going into the race at Sunland, we had to put on a performance, as he did win by that amount, to really kind of legitimize him going forward into a race like the Kentucky Derby. It was obviously a slightly weaker field than he was facing, so I guess we would have been slightly disappointed if he didn’t put up such a good performance. But certainly it filled us with a lot of confidence going forward. John Pricci: Good afternoon, Simon. During the prep season, you had made a comment that Firing Line does his best racing when fresh, so you gave him six weeks to the Sunland race and then you gave him six weeks from the Sunland to Churchill Downs. You’re coming back in two weeks, yet you’re relatively lightly raced. Is this—is the hard race that he had in the Derby going to help him, or are you concerned about some kind of physical regression? Simon Callaghan: I think coming back in two weeks for any horse is something you would like, but I think the spacing that we had in our two prior races, like you said, six weeks both times, I think it’s actually going to help us out for the Preakness. It is certainly a lot quicker back than he’s ran before, but I think that should enable us to have a slightly fresher horse going forward. We really like the signs and signals he’s been showing us since the Kentucky Derby. He’s done everything we’d like to see, and he’s taken the race extremely well. Tom Pedulla: Yes, I just wanted to ask you about Gary Stevens. Do you feel that he is the kind of rider who gives you an advantage in big races, such as the Preakness? Simon Callaghan: I think without question. Gary is extremely experienced, and I think he’s one of the top riders anywhere around the world. I think that’s certainly going to stand us in really good stead in this type of race of this nature. He’s been there and done it, and we’re pretty confident having Gary on board, for sure. Tom Pedulla: Just a quick follow-up, is Gary the kind of rider that you don’t give him much instruction and just trust that he will figure it out, he’ll figure out the trip? Simon Callaghan: Yes, for sure. I mean, firstly, we’ll see what post position we get, and then you’ve just got to see how your horse breaks. Having someone like Gary who knows the horse very well, he’s the sort of rider that’s just got a natural feel for races. There will be very little that I’ll need to say to Gary. I’ll just wish him luck before the race and just let him ride the horse as he feels the race is unfolding really. Tim Wilkin: Simon, now that you’ve had five days or so to digest the Derby, what gives you confidence that you can turn the tables in Baltimore on Pharoah? Simon Callaghan: Well firstly, I love the way he’s come out of the race. He’s been eating up, he’s been very bright and showing us lots of positive vibes since the race. I think that’s one thing. He’s really the sort of horse that just takes these big races and all the build-up and everything in his stride, and coming back in distance a touch, I think certainly is not going to count against him. I think we’ve got a really good chance of turning the tables, but obviously we highly respect both of Bob’s runners, and there’s a couple of other interesting runners in there as well. So it’s going to be tough, it’s not going to be easy, but we feel we’ve certainly got a real chance, a good chance to do it. Geoffrey Riddle: Hi Simon. I’m just wondering, in all your dealings with Gary Stevens, in all your conversations, have you learned anything from him, and what would that be? Simon Callaghan: Well I mean, Gary’s actually been a rider that’s been extremely lucky for me. I think he’s ridden me three great one winners and lots of other winners. Gary’s just a top class horseman. He’s a really good guy, and I think for all these top end races, I don’t think you can have anyone better than Gary on your horse. So in the race, we’ll pretty much leave it to him, and whatever he decides to do is good with us. Matt Futterman: Did you give any thought to taking this one off and giving Firing Line just a shot at a more tired favorite in the Belmont, given the (inaudible)? Simon Callaghan: Sure, we kind of left this race with an open mind, but we felt the way he’s acted since this race, he’s taken it particularly well, and I’d be surprised if any horse is—outside of the race any better than us. He’s really been showing us everything we’d like to see since the race, so I think that in combination with a slight cutback in distance, a sixteen of a mile shorter, gave us the confidence to run back on the short time. Jim Mulvihill: Simon, last thing for you. Just tell us a little bit about how the next several days are going to go for Firing Line, and will he breeze before the Preakness? Simon Callaghan: He jogged this morning, and that went really well. The plan is probably not to breeze in between now and the Preakness. We’ll just gallop him and just keep him kind of nice and level, and keep him where he is now. It’s just a matter of keeping them fresh and happy and healthy, and certainly there’s no need to breeze or do anything too quick with him. He’s (inaudible). Yes, like I said, it’s just a matter of having him there and 100% healthy. Jim Mulvihill: Excellent. Well Simon, we look forward to seeing him in Baltimore, and you as well, so safe travels and we’ll see you next week. Simon Callaghan: Great, thanks very much. Jim Mulvihill: All right, Simon Callaghan, the trainer of Firing Line. We’re going to move on now to our final guest, and that is hall of famer and three-time Preakness winning jockey, Gary Stevens. We’ve got a little bit of interference there, but now let’s welcome in Gary. Gary, it’s Jim Mulvihill in Lexington. Thanks for coming on. Gary Stevens: Thanks Jim, it’s good to be on. Jim Mulvihill: I appreciate you waiting on the line here as we run a little late with Bob and Simon. I hope you gleaned a little bit from those conversations maybe, but let’s talk about Firing line a little bit. The word around Louisville last week was that you were very high on him coming into the Derby. You had ridden him in both of his prior starts this year, so just tell us what you had seen from him as he developed and matured coming into the Derby, and what gave you that confidence going into the Derby? Gary Stevens: Well, one thing about Simon I’d learned, you know, (inaudible) and my comeback two years ago, that he’s meticulous in his planning, and he thought things out and had a lot of discussions with myself and Mr. Zetcher leading up to the Derby what was going to get us there the best. He got his plans, we discussed the Sunland Park Derby and what we needed to get points and build his confidence and the timing and everything, and I just saw this horse from Sunland progress not only with that race but from the Bob Lewis on to the Sunland Park Derby. But every one of his workouts, he was just showing me more and more confidence in himself, and when I got back to Kentucky early in the week, the Monday before, and watched him train, he was training like a bear all week long. As the race came—approached closer, he was very, very relaxed, but his energy level, he kept getting tougher and tougher and tougher in the mornings. So I knew I was sitting on a horse that was on go, leading into the Derby. Jim Mulvihill: Then let’s talk about the running of the race. It’s really unusual for a Derby to see the one-two-three finishers establish their position so early in the race, so can you just tell us about, say, that first time past the wire, what you were thinking and where you put him early in the race? Gary Stevens: Yes, I had a big smile on my face crossing under the finish line the first time, very similar to with Winning Colors and Silver Charm. I was able to secure a great spot. I took the peek over to the inside. I actually—I had an inkling that if Dortmund did not get away good, that Victor was going to use his horse a little bit and just secure the lead, and I would probably be tracking him. I felt that American Pharoah was probably going to be a quicker horse away from the gate, and things worked out in reverse. As I took that peek to the inside and saw Dortmund, I took a little peek peripheral vision and saw the two Zayats’ fils outside of me, and we weren’t going fast at all, that first eighth of a mile and into the first quarter. Looking back at the rerun and riding the race, all three horses were well within themselves, so I’m sure that Martin had to have a great sense of confidence going into that first turn on Dortmund, and I know that Victor probably did too. You know, I was extremely happy going into the turn. It looked like Victor—or Martin had started to ask Dortmund. I had moved on my horse, and in between the three-eighths and the five-sixteenths pole, just before we entered the stretch, I could hear Victor vocally encouraging American Pharoah. It didn’t take a rocket scientist for me to figure out who it was behind me and to my outside, and I said man, he’s already asked him and I haven’t moved. I knew it was going to be a horse race. When we came into the stretch, I thought to myself, man, this is going to be a big three-horse race. Right now, we’re going to have to dig deep. American Pharoah, he accelerated coming off the turn, and my horse went with him. We got away from Dortmund in a matter of two or three strides, so there was one down and now the battle was between Firing Line and American Pharoah. You know, lots been made of Firing Line not switching leads, and why he did not switch, I don’t know. I wasn’t prepared for it because he had never shown me any inclination that he wouldn’t before, but he was digging hard, he was trying. Another encouraging thing was his energy level pulling up after the Derby. He’s the first horse that I’ve ridden in the Derby that he was still a fresh horse. The outrider had to help me pull him up. His gallop out was strong. But you know, with the time that we’ve had from the Sunland Park Derby to the Kentucky Derby, I listened to Simon’s comments, and I think that’s one reason we get along so well together- we think a lot alike. He’s had a light schedule this year as far as racing goes. I think that the Derby probably did him even more good, and I guess the question would be, what toll did it take on the other contenders that are going to be running in the Kentucky Derby, and that includes Bob’s duo. Jim Mulvihill: So another question that you heard me ask Simon a few minutes ago, if the top three from the Derby were all to run their races in Baltimore, how could it go differently if you were to draw outside of the Baffert pair? Gary Stevens: Well, I think it’s always a tactical advantage when you’re on a tactical speed horse, and all three of these horses are. They’ve shown an ability to sit if they have to. I can just tell you, in my mind I believe if American Pharoah had drawn one of those inside posts, you saw—I don’t know if you were watching the draw, but I’m sitting straight across from Baffert, and when they shouted out number 18, the sigh of relief that came over his face was obvious. All bets would have been off of sitting on that horse early on if he’d drawn on the inside. You can bet that he would have been hustled away from the gate. So I think you can fairly say the same thing about the Preakness, where a lot is going to depend on the post position draw, and it is definitely a tactical advantage. This is going to be a shorter field, so I think we’re all going to like that. I don’t think there’s really going to be any question of where these three horses are going to be early on, other than who’s going to be making the pace, who’s going to be laying second, who’s going to be laying third. But we all have the ability to adapt if somebody goes crazy early. Jim Mulvihill: Excellent. Well Gary, hang on the line and we’ll see what questions the media has for you. Nick, do you want to check with our assembled writers and broadcasters? Ron Flatter: Gary, what did Firing Line show you, finally beating Dortmund? Gary Stevens: Well, that he’s grown with each race. A lot of people, because of his first two defeats by Dortmund, thought that he was a horse that likes to hang a little bit and maybe doesn’t want to try in a battle, and I think that this race, the Derby proved that people might have been mistaken. There was a lot of question about his ability to get the distance. He put that to rest. American Pharoah, he really hadn’t been in a battle. My horse has been in two big battles, now three big battles, and he seems to relish it. He likes the competition. So I think you can fairly ask the question, is how is American Pharoah going to recover from this tough race that he had, because believe me, it was not an easy race on any one of the three. Yes, we got past Dortmund, and it was starting to feel a little bit like Alydar and Affirmed, and now we faced two Affirmeds instead of one in the Kentucky Derby. Hopefully we can turn the tables on American Pharoah, the same as we did Dortmund. But believe me, I have plenty of respect for all three horses. They are very, very good and exceptional colts. Art Wilson: Gary, I wanted to ask you about the Triple Crown series. When you look at the whole series, and we all know how difficult it is to win the Derby. You’ve got three races in a five-week span, varying distances, and then if you’re lucky enough to win the Derby, a lot of times you’ll hit—you’ll face some new shooters in the Preakness and Belmont. Looking at all that, could you arguably say that winning the Triple Crown is arguably the toughest achievement to achieve in sports? Gary Stevens: Yes, without doubt. The things you mentioned above, facing fresh new competitors in the next two jewels make it even more difficult, but that’s one of the beauties about the Triple Crown. This is—you know, people had the option to do that years ago. They chose a lot of times not to because the Preakness and the Belmont were not nearly as valuable prize-money-wise as what they are now. They all have their place historically and financially—they’re all $2 million races now. So you’re going to face specialty horses at the shorter distance of the Preakness and the longer distance at the Belmont. I was listening to Simon’s interview prior to me coming on, and it was a great question—did he consider skipping the Preakness and going in with a fresher horse for the Belmont. But the horse has to dictate to you when they’re ready, and Simon and I have been in constant contact since even Saturday night, and he had told me, he said, I’m going to wait three days, that’s usually when you know what you’re dealing with. That’s when the adrenaline had settled down and everything, and he said, then we’ll make a decision. He told me on Tuesday morning, he said, we’re going. I like what I hear, and I just have a lot of confidence in both he and the horse. But to your question, yes, to me it’s the most difficult thing to attain in all of sport. Danny Brewer: At what point in time did you know that you had a live wire under you in Firing Line? Gary Stevens: I would say when I gave him his final breeze, leaving Santa Anita the Saturday before his trip to Kentucky. I knew that if we could keep his energy level where it was throughout the week and just keep him safe and healthy and everything, that I was going to have a great say in the race. But when I walked on that racetrack and he was handling himself the way he was, he was full of life but he was easy to contain, that energy, and that was like in the final four or five minutes, walking up to the gate, he kept looking back at me, like can I go, boss? When can we do this? But he saved all that energy for the race, and I knew going into the gate that I was loaded and if I could get a clean break, that we were going to have a big say in the outcome. Matt Futterman: Gary, have you been—you said you talked to Simon about it. Have you been with the horse since then, and if you have, how have you felt he came out of the race? Gary Stevens: I’m back at Santa Anita. I traveled home Monday afternoon following the Derby. I’ve been in touch with Carlos, who is the assistant trainer with Umberto, and spent all morning this morning with Simon here at Santa Anita. So he is not shy about giving me updates on this horse, and he hasn’t from the word go. He puts a lot of trust in me, and the trust is mutual back and forth. The line of communication is excellent. So he’s very straightforward with me, Simon is, and it’s just a great team that he’s put together. Matt Futterman: In terms of what you’re hearing about how the horse came out of it? Gary Stevens: Excellent. We wouldn’t be considering running if he hadn’t come out of the race absolutely perfect. I think that he would have been sitting, evaluating, do we want to skip this race, go to the Belmont? Like I said, after two days, he didn’t announce it, I don’t think, until Wednesday absolutely, but that third day is when you really see changes in a horse, good, bad or indifferent. Everything was very, very positive. He ate up everything the night of the Kentucky Derby, which if they don’t—if they leave a handful of grains in their feed cup after a race like that, that’s okay. When they lick the bottom of it dry, that’s the best sight that you can see, and he had it gone before 9:30 that night. John Pricci: I had broached the subject with Bob a little bit relative to the Preakness pace scenario, and also the fact that Pletcher is considering perhaps running Materiality back in the Preakness. Now if he does, is that sort of a good news-bad news situation—you know, bad news in that the competition gets stiffer, obviously, but good news in that maybe, assuming a clean break for all, that he would entertain Bob’s two horses and you can have a few targets to run at instead of being between the rock and the hard place that you were in Louisville? Gary Stevens: Here’s the deal. As you’ve got—if Johnny’s back on Materiality for some reason in this race, not Carpe Diem, and you’ve got Martin, who knows Dortmund extremely well and he also knows American Pharaoh, he’s extremely aware of how fast he’s going, and the same with me on Firing Line, and Victor knows American Pharoah extremely well. We’ve got a very good idea of how fast we’re going at every split of the race, and like I said before, all three of these horses are very tactical. Materiality, he missed the break in the Derby, and I would think that they would want a lot cleaner break. But for me to sit here and say that it’s going to change things a whole lot, if his horse is going good, then he’s probably going to run. But you know, I think that all three of these horses have proved themselves to be very, very good, and while we do have to worry about a whole field, I’m going to be worried about my own horse and not necessarily what kind of games are being played up front of me or behind me. John Pricci: Okay, and if those games were being played up front of you, would you have the same smile on your face as you did when you crossed the finish line the first time at Churchill Downs? Gary Stevens: Well, let’s hope so. Let’s hope I’ve got the same feeling going to the starting gate in the Preakness as I did in the Derby, and I feel pretty happy already, but it’s still important we get a good break away from the gate. I told somebody yesterday, if there’s somebody in front of one us three, they’re probably going way too quick. If we’re allowed to do what we did in the Derby, then it could be the same result. But I’ve got to ride this race accordingly. If they’re going slow, I’m going to be up very close; and if they’re going fast, I can sit back. Tim Wilkin: Gary, when you have the three horses that have had such—I don’t know if you’d call it a tough race or a grueling race, and then come back in two weeks, how much is the two weeks a factor as you head into the Preakness? Gary Stevens: Well, listening to Simon’s comments earlier and talking to him, I think we like where we’re at. He made the comment that he knows how good his horse came back. We don’t know how the other horses have bounced back; it’s really none of our business. So, you know, American Pharoah, that’s the first time he’s really been tested, the other day, so it will be interesting to see how he came out of it. Dortmund, you know, he had two hard races against our horse, Firing Line, and he’s had a pretty busy schedule this spring. Yes, he won the Santa Anita Derby easy, but how much toll did that take on him going into the Derby? Then with him in a battle the other day and getting beat the way he did, did it knock some heart out of him? These are the questions that a trainer asks himself, and also the jockey. So I don’t know how they’ve come out of the race. All I know is my communication with the team, and we’re in good shape right now. Geoffrey Riddle: You work with some of the best trainers around. I’m just wondering, can you tell us a bit more about what Simon’s strengths are? Gary Stevens: Well, he’s wise beyond his years. He reads his horses very well, and he lets the horse dictate to him how much training they need or how little training they need. This is a pretty open and shut case how he’s going to bring this horse up to the Derby. We don’t have to do a lot with him; he doesn’t have to do a lot with him. He’s just got to be light with him, and he’s plenty fit. It’s keep his energy level where it’s at and build on this and keep him happy, and if he starts getting too aggressive, then Simon will let him do a little more in his morning canters. But you know, I can’t believe the job that he did. He didn’t let the pressure get to him. He was very calm, very relaxed, but a good horse will keep us all like that. They tend to do everything that the trainer wants. But he’s just done an exceptional job with this horse. He does it with all of his horses. Jim Mulvihill: Gary, we could talk Triple Crown all day, we really enjoy it. But I want to remind everybody that on Saturday, this coming Saturday, you do get to ride back one of the top mares of the last few years. Just wondering if you could tell us a little bit about what you’re expecting from Beholder, not just Saturday but hopefully on Belmont day in the Phipps, and the rest of the campaign this year. Gary Stevens: Well, unfortunately you’re not going to get to see it this weekend. I saw Richard this morning just before coming to the jock’s room here, and I know it’s already out on Twitter so I can talk about it. You guys have been doing the phone interviews. He came in this morning, she had a temperature, so hopefully it doesn’t turn into something like he had with her before the Breeders’ Cup. They’re on top of it early, and they’re working on it and everything, but she’s not going to make the gate on Saturday. Hopefully she won’t lose enough time that it will cost her a chance to come back and try the Ogden Phipps again. I know that Richard and my first interest is to make sure that she’s healthy and everything, and he’ll train her accordingly and do whatever he needs to do to protect her the most. Jim Mulvihill: All right, well thanks for that update. Sorry I had missed that, but we appreciate the update, and hopefully we’ll see her in the Phipps. That was one of the races of the spring last year, and we’d love to see her meet who knows who, perhaps Untapable and who knows who else on Belmont day. So Gary, thank you for the time today, and we look forward to seeing you in Baltimore. Gary Stevens: All right, thank you. Jim Mulvihill: All right, Gary Stevens, who is going to ride the Derby runner-up in the 140th Preakness next Saturday at Pimlico. So thanks everybody for joining us on this teleconference. Thanks to Bob and Simon and Gary as well, especially for hanging on the line as we went over. Appreciate everybody’s patience, but I think we’d all agree this was well worth it with this line-up of guests today and all the interest in the Triple Crown. My thanks also to Joan Lawrence for lining up these calls, helping to get these great guests to join us week after week. So the audio is going to be up later today on NTRA.com. The transcript will be there in the same spot tomorrow, and like I said, we’ll add in the background on everybody for anyone that needs that for those stories. Let me remind you all just that if there’s anything we can do to help your coverage of these events, just let us know. Joan is going to be in the press box at Pimlico starting Monday, and I’ll be there a couple days later. Just let us know how we can help. Thanks again for joining us, and I’ll send it back to Nick. Operator: Thank you. Ladies and gentlemen, this concludes the conference call for today. We thank you for your participation. You may now disconnect your line and have a great day.